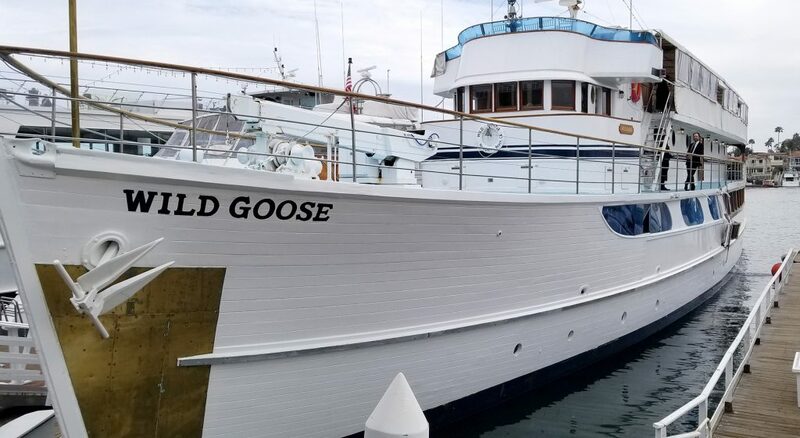 It’s not often you get to cruise Newport Harbor aboard John Wayne’s former yacht “The Wild Goose” while listening to live music while feasting on superb cuisine, but that’s what around 100 people did on April 15 in celebration of the Hutchins Consort’s annual gala. 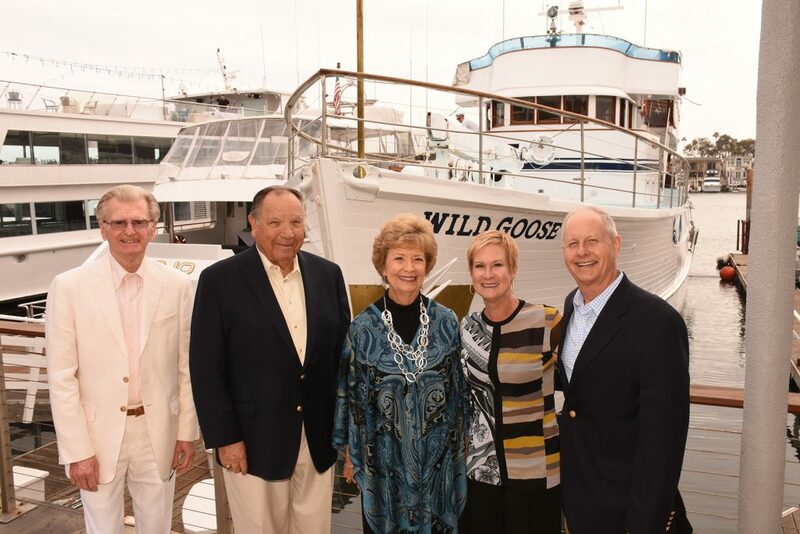 The sold-out event was chaired by Barbara Woods (Pilar Wayne was the honorary chairman), and began with attendees boarding the boat at 4:30 p.m. to enjoy cocktails, champagne and tray-passed appetizers before departing for a two-hour dinner cruise. 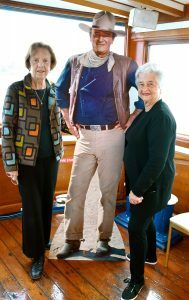 During the reception, guests toured the yacht to see where longtime Newport Beach resident John Wayne spent much of his time. 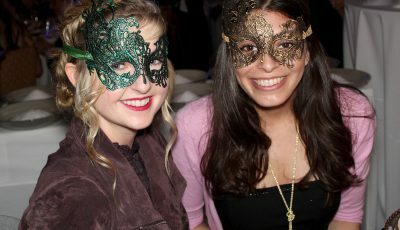 They also bid on a variety of silent auction items, including a hand-painted violin, six magnums of Shafer Merlot, tickets to the Hollywood Bowl and other venues, and exquisite hand-painted figures of movie stars that served as center pieces at each dinner table. 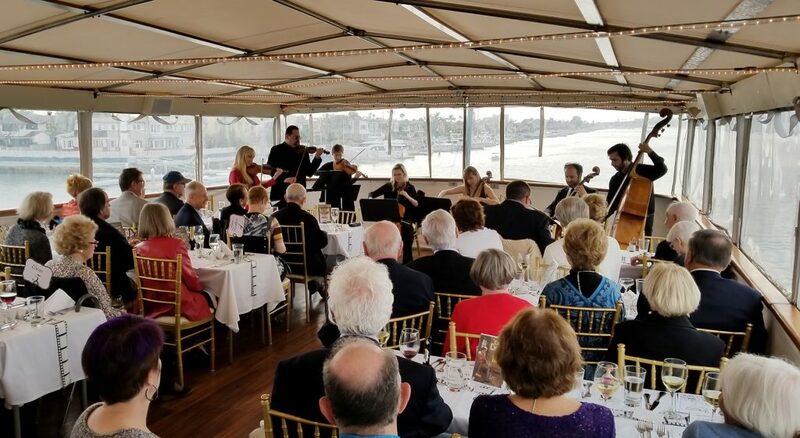 At 6 p.m. the guests adjourned to the upper deck where they enjoyed dinner and a concert by the Hutchins Consort featuring popular songs from well-known movies including “Casablanca,” “Master and Commander,” “Conan the Barbarian” and many more. 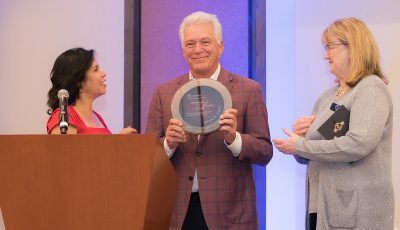 Before the concert, it was announced that Hutchins Consort’s Artistic Director, Joe McNalley, had undergone quintuple bypass surgery April 6. 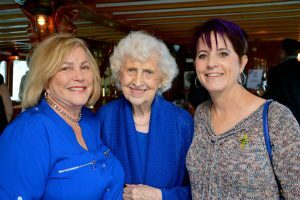 He was home recovering, but passed along his well wishes and thanked the Consort players, board members, volunteers and friends for stepping up to make sure the “show would go on” for this event. 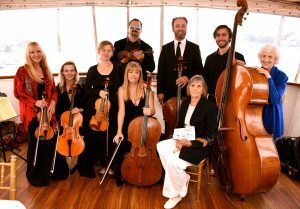 The Hutchins Consort performs on eight acoustically matched violins designed and crafted by famed luthier Dr. Carleen Hutchins. The instruments range from a tiny treble violin to the gigantic contrabass violin. The other octets built by Dr. Hutchins are in the permanent collections of the Metropolitan Museum of Art/NYCity, the National Music Museum, as well as museums in Stockholm and Edinburgh. 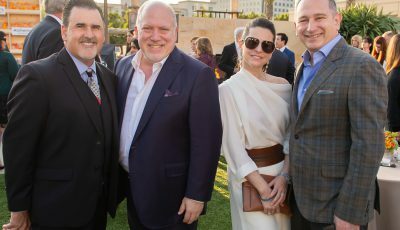 In addition to presenting concerts throughout the U.S. and in Europe, the Consort also presents a regular series of concerts in San Diego, L.A. and Orange County. 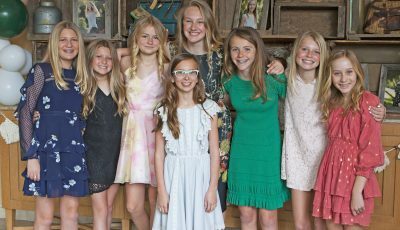 For more information, visit hutchinsconsort.org.